Professional Wireless Communications is the premier provider in digital radio technologies. 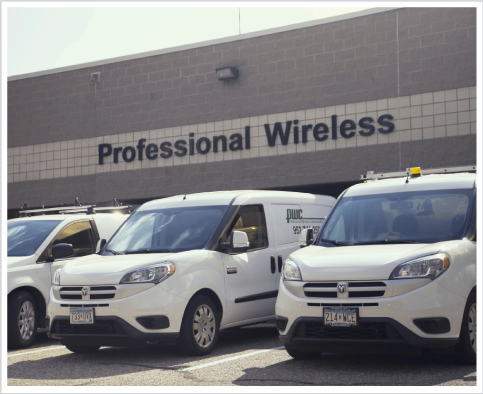 We can help you implement a wireless communications solution to improve safety, increase productivity, and enhance connectivity within your business. Our solutions are tailored specifically to your needs to provide the right support for your business. PWC has experienced communications industry experts that offer a personalized service you can count on. Give us a call and speak with a real person. Unlike other two-way providers, we pride ourselves with our in-house repair facility. We perform 98% of radio equipment repairs at our location or on-site at yours. If you have an emergency, we also offer a 24-hour emergency repair service to address your needs when response time is critical. Like a lot of small businesses, Professional Wireless Communications started in a basement. Back in 1998, two seasoned industry professionals started PWC with a goal of providing high-quality service in the two-way radio industry. All these years later, we have a staff of 15 and a 5,000 square foot facility located in Burnsville, MN. 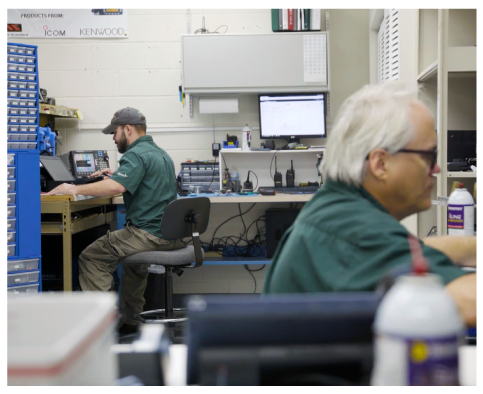 As we’ve grown, we have developed a broad product mix of leading-edge equipment and have matched that with a team of highly skilled individuals who share our dedication to providing quality radio solutions to match the needs of each and every client. We sell and service two-way radio communications, that’s our passion and our focus. We have by far the most industry experience in the Twin Cities and our expertise is unmatched. We have the most competent technical shop and the most up-to-date testing equipment. At PWC, we believe in continually reinvesting in the most up-to-date equipment and tools as radio technology continues to advance. While we don’t work out of a basement anymore, we’ve maintained the spirit and passion that was born there. PWC is the expert in two-way radio communications and we’d love to show you how our services can benefit your business or organization.